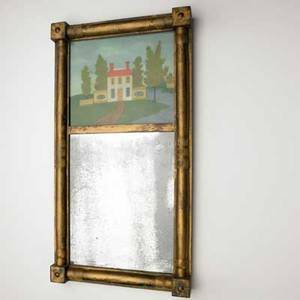 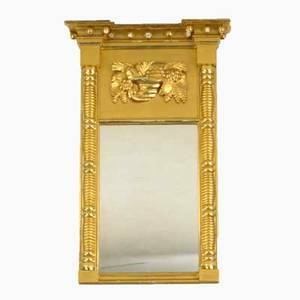 Empire mirror, 19th c. , 22" l., 17 1/4" w.
Empire; mirror with gilded frame, early 19th c.; 31" x 19 1/2"
American empire mirror; leaded glass panel, ca. 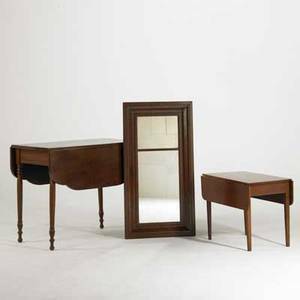 1820-1830; 20" x 10 1/2"
Pembroke drop-leaf table, etc. 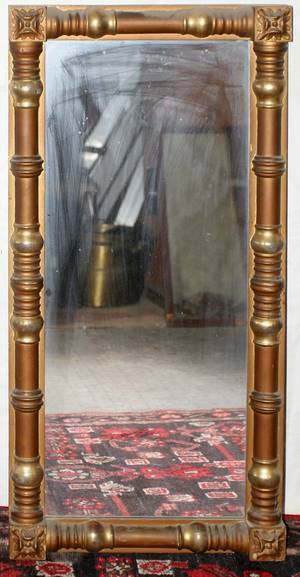 ; three pieces, 19th c.: mahogany table together with empire mirror and child"s drop-leaf table; drop-leaf table: 29" x 35 3/4" x 20"
061451: AMERICAN EMPIRE MIRROR W/GILT FRAME, 33" X 20"
Mixed art grouping of four includes: 19th c. botanical, framed; japanese woodblocks, framed; oriental silk, framed; transitional empire mirror. 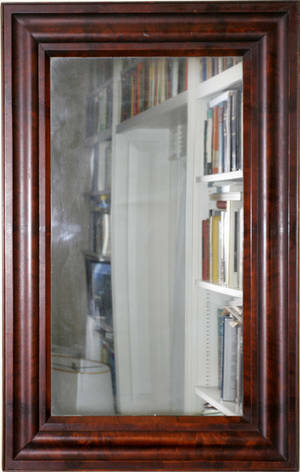 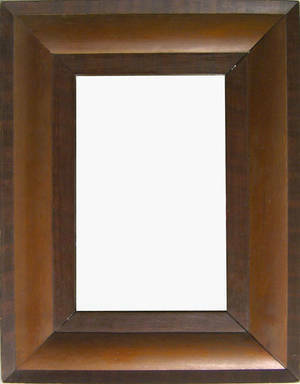 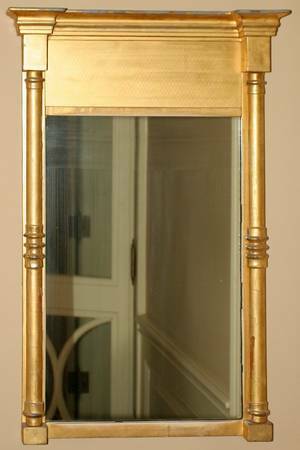 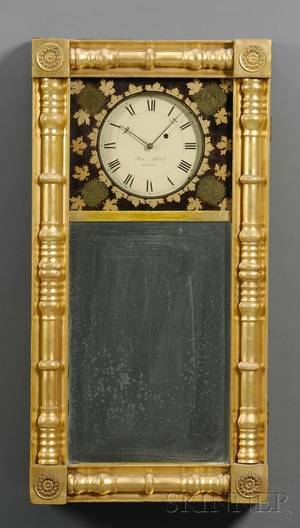 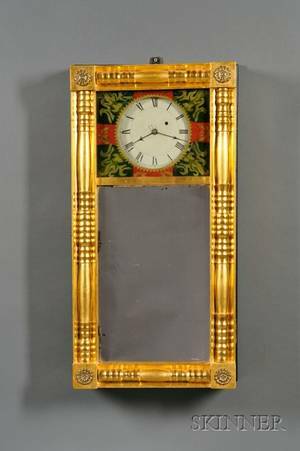 largest: 22 1/2" x 29"
041370: AMERICAN EMPIRE MIRROR, C. 1840, 37" X 17"